I think I need my Coca-Cola. I might even want a bowl of wonton noodles soon,” says Sabrina Ho to her assistant as she looks out the window at the ground floor of the Regency Art Hotel on a typically hot Macau summer day. After a sip of soft drink, the stylish owner of the hotel – wearing ripped denim and transparent heels – is ready to brave the heat. She and I decide to take a walk into the lush green garden outside the property as we chat. An entourage follows us from behind wherever we go, among them a waitress carrying a tray with nothing but a glass of coke and paper napkins on it. Suddenly, a gentle breeze comes along and carries the napkins away. That is when I finally start seeing smiles on people’s faces. It is clear that creature comforts are of utmost importance to Sabrina, who at the tender age of 26 is the founder and Managing Director of Chiu Yeng Culture, the Director and Chief Executive Officer of Poly Auction Macau and a member of the Committee of Cultural Industries. Since 2015, Sabrina has held great influence in the Chinese art market and was crowned 17th of the 2015 Top 100 Most Influential People of the Chinese Art Market globally. 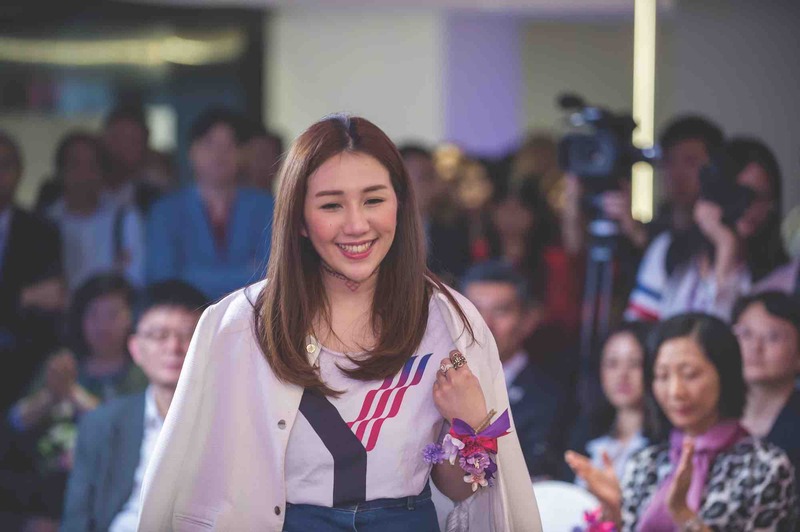 Her achievement also caught the eyes of Shangliu Tatler, who awarded her the title of “Young Power” Leader. In April last year she was invited to speak at the 19th Annual Harvard China Forum and in the same month was listed among Forbes Asia’s Power Businesswomen: Ones To Watch. In November 2016, Poly Auction Macau generated a buzz around town when presenting masterpieces of Chinese modern and contemporary art maestros. “Snowscape in Beijing”, Wu Guanzhong’s finest of the mid-1970s with era-specific colors and characteristics, sold for HK$35.4 million, while “Red Rhythm” by Wu Dayu – a piece renowned for its unique colors and composition – was sold for HK$10.6 million. Cui Ruzhuo’s “Lotus Pond after Rain”, a classic large-sized Chinese bird and flower painting, went for HK$18.9 million, concluding the sale of masterpieces. According to Sabrina, Macau is characterized by its inclusive culture and interactions between Chinese and western values which act as a force in nurturing a spirit of innovation and diversity. At the same time, the convergence of disparate fields and art is rising up as a new power in the course of accelerated development. 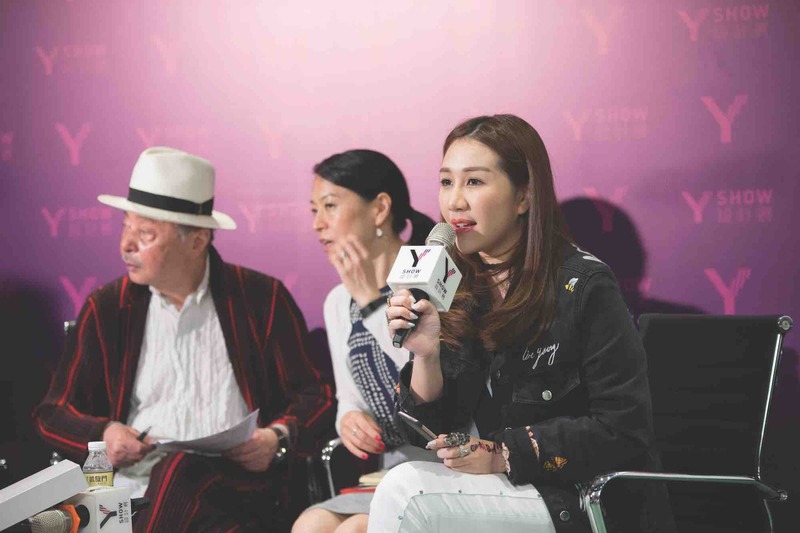 It was for this reason that Chiu Yeng Culture – founded in October 2015 by Sabrina with businesses encompassing auctions, exhibitions and services in culture and fashion – began organizing the first Macau art graduates joint exhibition “Y Show” last year. Displaying a collection of works from local and overseas art graduates with the aim of providing an opportunity for graduates to showcase their talents, “Y Show” is also a platform for young artists to interact with each other and stimulate ideas, which assist in building an international arts and cultural exchange channel to enhance Macau’s image as the “art capital” for the talented. To keep the momentum going, during the second “Y Show” this year in 2017, we will see the addition of “Y Class” – a series of creative design courses mutually conducted by the Centre for Continuing Education at the University of Macau and Chiu Yeng Culture, with key support from local design firm Chiii Design. The extended educational project focuses on five design categories: Product Design, Visual Arts, Spatial Design, Visual Communication Design and Multimedia Design. As for her own inspiration and self-discovery in the world of art and design, Sabrina points out that she was fond of drawing during her childhood and now travels all over the world to appreciate various types of art, with her favorite being Japanese contemporary artist Takashi Murakami. “When you look at Murakami’s work, on the surface it is very cartoony and fun yet underneath, the ideas and messages are very dark. Darkness, that is what I like,” she says.